Microsoft set a deadline today retiring its flagship Messenger service on March 15, 2013 in order to transition its current 100+ million users to Skype. This dawning of a new Skype era simplifies Microsoft’s unified communications portfolio and gives Messenger users many new features. Most internet savvy persons have already used both communication applications and will not be greatly affected by the change. On March 15th Messenger will work as usual but display a “switch to Skype” notification for everyone logged into their account with an up to date version of Messenger. 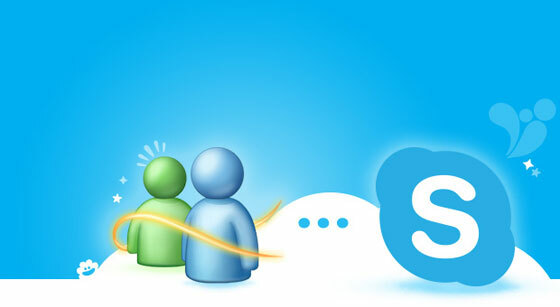 Users will be prompted to install Skype while Messenger automatically uninstalls. After the 15th Messenger will no longer function and Skype will be a required install to continue using Messenger account credentials. For every new beginning there is a new end, but your Messenger account will live on. The reasons for the shift are obvious. Skype had more users than Messenger before the acquisition at about 180+ million monthly active users, so essentially Microsoft paid for the headcount. Skype has greater unified communications features such as video calls, IP telephony, and group video calls with Skype Premium. It also has the advantage of running on almost any platform including PCs, Macs, Android devices, iPhones, iPads, the Kindle Fire and will soon be available for Windows Phone 8. Back in 2011 Microsoft acquired Skype for $8.5 billion and has since been integrating the application into its other product lines. The move threw up a red flag for unified communications industry leader Cisco because of the implications that Microsoft would control the video products that integrate with Skype. “For the sake of customers, the industry recognizes the need for ubiquitous unified communications interoperability, particularly between Microsoft/Skype and Cisco products, as well as products from other unified communications innovators,” stated Marthin De Beer, senior vice president of Cisco’s Emerging Business Group. Cisco argues that with the integration of MS Skype and Microsoft’s enterprise unified communications software called Lync, Microsoft could lock in businesses who want to target Skype’s massive user base into a Microsoft-only platform. The free flow of information and cross-platform interoperability are vital to unified communications development and innovation. As long as Microsoft keeps this in mind, the principles of open unified communications that Skype was built on will translate, static free, into future applications.